The site of Detroit’s former Brewster-Douglass public housing may soon be redeveloped into a massive mixed-use project. A group of developers, including Dan Gilbert’s Bedrock Real Estate Development, has been recommended by a committee composed of the Detroit Planning & Development Department, the city’s Housing & Revitalization department, and the Detroit Housing Commission. The recommendation of the development team, known as Choice Detroit, will now go to the City Council. If approved by the city council, the project will be submitted for a federal grant of $30 million as part of the Choice Neighborhoods Grant program. The Brewster-Douglass public housing projects are made up of two sites adjacent to each other in the Brush Park and Eastern Market neighborhoods. First Lady Eleanor Roosevelt broke ground for the projects in 1935. Envisioned as housing for the “working poor,” for much of their history one resident per unit needed to be employed. 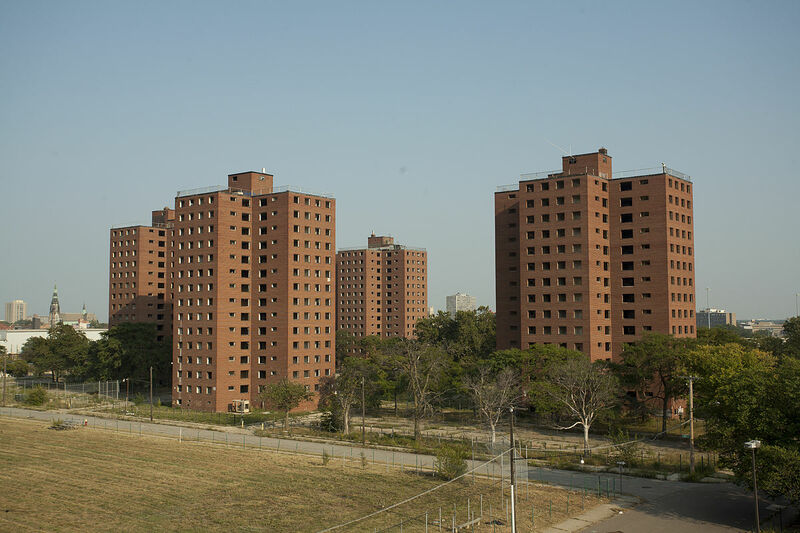 At its height 8,000 to 10,000 residents lived in the Brewster Douglass projects. Many of Detroit’s most notable celebrities once lived in the projects, including Diana Ross and Smokey Robinson. 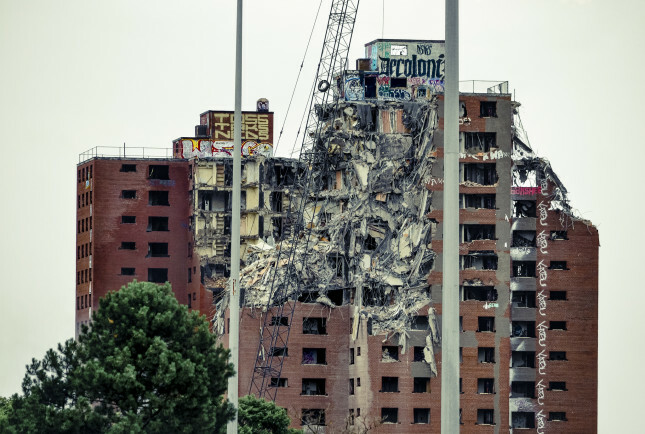 By the 1970’s the buildings had begun to fall in to major disrepair, and by 1991 demolition began on the low-rise portions. Demolition as completed in August, 2014. Dan Gilbert, the founder and CEO of Quicken Loans, and owner of multiple professional sports teams, is behind some of Detroit’s largest developments. These include a new building at the former site of the J.L. Hudson department store in Downtown Detroit. That proposed building is designed by New York-based SHoP. The other members of the Choice Detroit development team include Columbia, Maryland-based developer Enterprise Community Partners, Columbus, Ohio, and Pittsburgh-based KBK Enterprises, and Ginosko Development Co., based in the Detroit suburb of Novi.